Our project is all about enjoying our city and having fun. We go on adventures. We jump off mountains and play in the ocean. We like to live on the wild side, just a little bit. That's why we love the new Play with the Best campaign Telus recently launched. Open to all BC and AB residents, simply use the hashtag #PlayWithTheBest on your best outdoor adventure photos on Twitter and Instagram to be entered to be the star of a $25,000 video shoot. Contest runs until Sept 26th, 2013. For full details visit www.playwiththebest.ca. 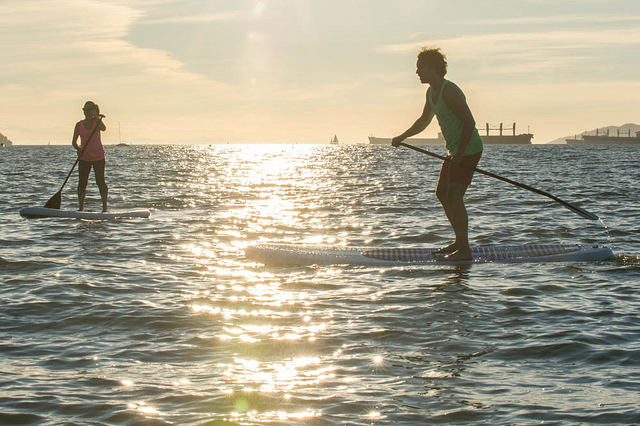 We think this photo from one of our last SUP Sessions deserves a #PlaywiththeBest hashtag, don't you?